There is no point in toting a towel around if it is gigantic. The size needs to be manageable so it can be stowed away in your pack. Huge towels work great at home, but we are looking for portability and a large towel just won’t cut it. Leave the beach blankets at home or on the beach. For the same reasons we don’t want a giant towel, we don’t want a heavy one. The two aren’t necessarily tied together because they do make towels that are more dense and heavy, but we will just steer clear of both the heavy and the large towels. Towels have a purpose, and that is to absorb liquids. Nothing will get me angry quicker than a single purpose item that is terrible at what it is designed for. Picking a towel that doesn’t absorb well is not what we are after. We’ll be taking a look at how much liquid they can absorb compared to their weight. At the same time, we want a towel that dries quickly so it can be reused. The list goes on and on. Although many of these uses double with a bandana or shemagh, the absorbency, hygiene, and insulation uses are hard to achieve with those. Plus you know that when it comes to tools and preparedness, two is one and one is none. When I lived was a single military guy living in a trailer in west Texas, I had the worst bath towels you could image. It was like dragging sandpaper across your body every morning after a shower. Fast forward a few years and my wife has us hooked up now with the plushest towels I’ve ever felt. I could even sleep with one as a pillow if I wanted to, whereas I wouldn’t even use my old ones to wipe off my Jeep. The moral of that story is that you won’t want to use a towel that feels like sandpaper, so get one you can at least tolerate. This is the reason we aren’t going to go suggesting some paper shop towels in the list below. While that might make a good inclusion for a get home bag, a bug out bag needs tools that are versatile, durable, and robust. A Lightload towel is a marvel of nature. It is vacuum sealed into a tiny plastic wrapper making it extremely easy to store away in your bug out bag, get home bag, or car kit. When you open it and get it wet, it expands out to a full size hand towel. Even though the wrapper is not reusable, the towel is reusable and can can easily be folded into a small ziplock bag after use. It is made of 100% viscose, which is basically fibers created from wood pulp, which means you can safely use this towel for kindling! The cheap price won’t make you think twice about cutting these into ribbons to use as cordage or tinder if needed. The towels take up hardly any space when packed and are lighter weight than even a bandana. The regular Lightload towels are about a dollar cheaper, but really don’t hold up as well as the newer extra strength towel. They still aren’t the most durable towel out there, but the versatility, absorbency, and pack-ability make them an auto-include for your kit. 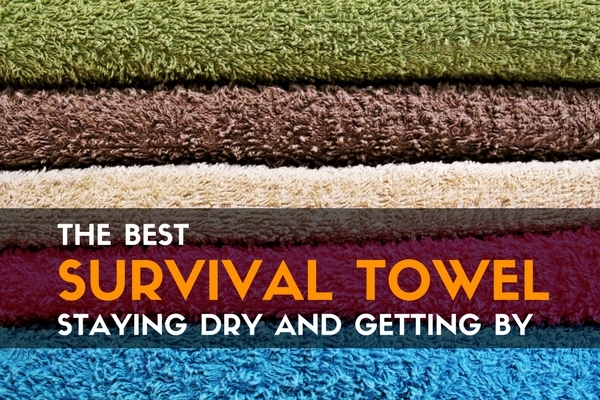 It was a hard task finding the best survival towel. It really came down to stowability vs. durability between the microfiber varieties and the Lightload towels. Either way, including a towel in your bug out bag, get home bag, and car kit is a good idea. 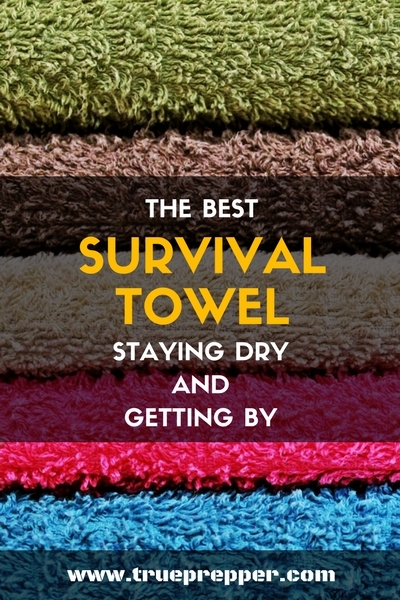 Douglas Adams wrote in Hitchhikers Guide to the Galaxy, “A towel is the most massively useful thing an interstellar hitchhiker can have.” While he is obviously a comedy writer, a towel is pretty useful and should not be overlooked when you are getting together your survival kits. Keep exploring, stay prepared, and be safe.